This is my first attempt at blogging. I recently finished a Rivendell. The customer requested a custom front rack. Normally I only make those for Curt Goodrich customers but in this case I made an exception. 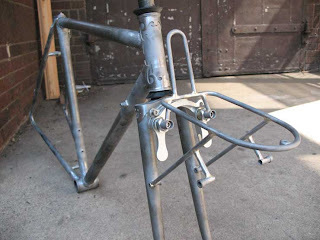 The bike is built around 650B wheels and bolt on Paul Racer brakes. I like how it turned out. Oh yea, the rack will be plated.